The new claims encompass methods of treating Herpes Simplex I infections, including herpes labialis (commonly referred to as cold sores), using NanoBio's proprietary anti-infective nanoemulsion product candidates. Shrink Nanotechnologies, Inc. announced today the formation a new wholly-owned subsidiary, Shrink Chips LLC, which is dedicated to the commercialization of a suite of next-generation biotechnology research tools, including its patent-pending ShrinkChip Rapid Prototyping System (RPS) which is used to inexpensively and flexibly manufacture microfluidic chips, or Lab-on-a-Chip (LOC), devices as well as many other biological and chemical sensors. GT Solar International, Inc. today announced that it has received a $23.4 million follow-on order from South Korea-based polysilicon producer OCI Company, Ltd. for its newest SDR 400 CVD reactors and other equipment to support OCI's polysilicon plant expansion. 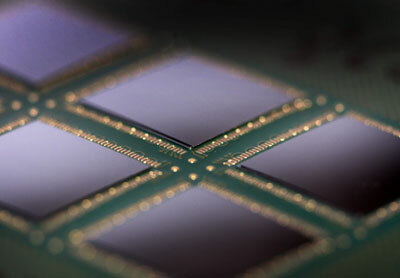 Semiconductor Manufacturing International Corporation announced today that its Low Leakage 65-nanometer technology, implemented at SMIC's 300mm facility in Beijing, has successfully moved to Volume Production Stage. PerkinElmer to Acquire VisEn Medical, Inc. Global leader in human health and environmental health adds in vivo molecular imaging capabilities for enhancing preclinical research for more effective therapies. The BL23500 3rd Generation GPON Processor family is the first 40nm set of devices designed for the fiber access mass market, and feature the most cost effective implementation, lowest power consumption and the lowest cost of manufacturing of any chip in its class. License offers Ion Torrent access to DNA Electronics' intellectual property. Under the newly signed agreement, Ecologia Soluzione Ambiente S.p.a. has committed itself to exclusively use the CFM Systems ceramic flat filter membrane technology from ItN Nanovation in the construction of its future wastewater treatment facilities. DNA sequencing innovator IntegenX selects Zeta-20 for micro-channel measurements. Recognized for its ease of use and cost-effectiveness with die attach processes for leadframe packages, Henkel has extended its Wafer Backside Coating (WBC) portfolio to also include a solution for stacked die packages. Ablestik WBC-8901UV has been designed to address the demanding requirements of multiple die stack applications for the memory market segment, including packages such as TSOPs, MCPs and FMCs (Flash Memory Cards). 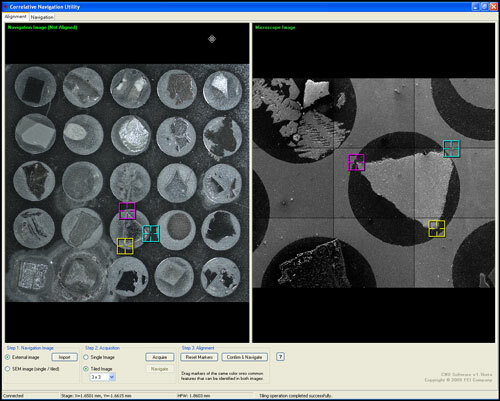 Agilent Technologies Inc. today announced the introduction of the Agilent 8500 field emission scanning electron microscope (FE-SEM). The 8500 is a compact system that offers researchers a field emission scanning electron microscope for low-voltage, high-performance imaging in their own laboratory. The NanoKTN and the Institute of Nanotechnology (IoN), a professional membership organisation for the nanotechnology industry, has announced its collaboration that with the support of Technology Strategy Board funding, will encourage and support UK nanotechnology SMEs in international business development. Carl Zeiss today announced that Emile James (Jim) Pouquette, a former FEI Executive, has joined Carl Zeiss SMT North America as senior vice president sales. New family of electron microscopes combines ultra-high resolution and analytical performance for the widest range of materials. Bio-specific applications provide new automation, navigation and data processing capabilities for the 3D ultra-structural imaging of biological systems. Aerotech's ANT130-5-V is a linear-motor-driven wedge-style vertical lift stage that provides the exceptional resolution, accuracy, and in-position stability required in nanopositioning applications, all while offering travel up to 5 mm.